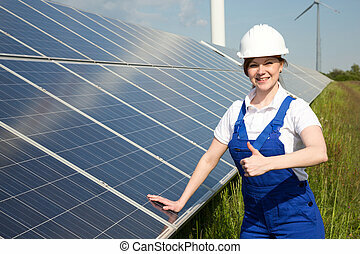 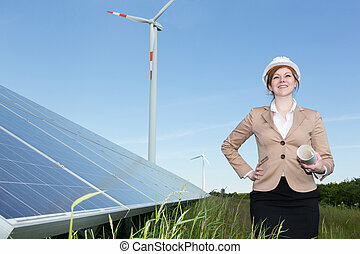 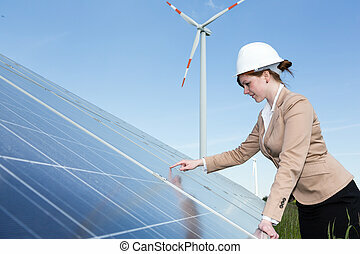 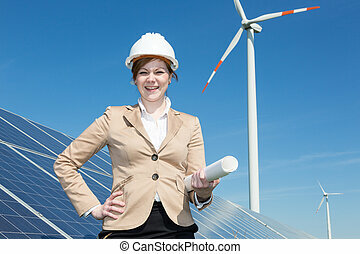 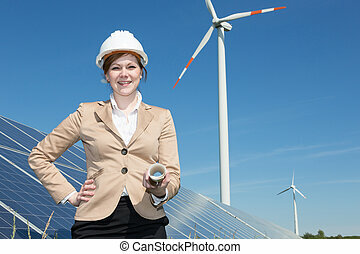 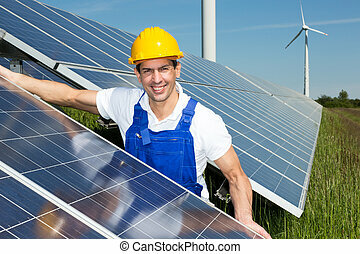 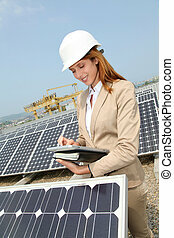 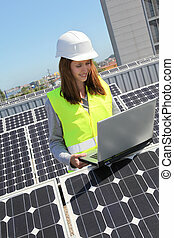 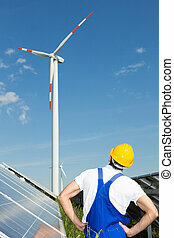 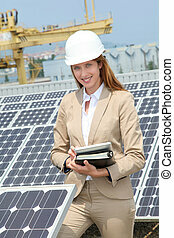 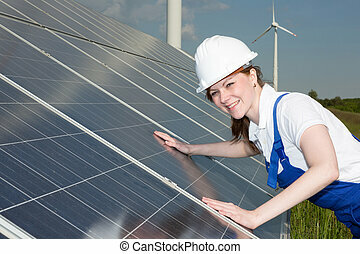 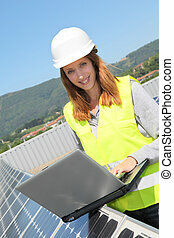 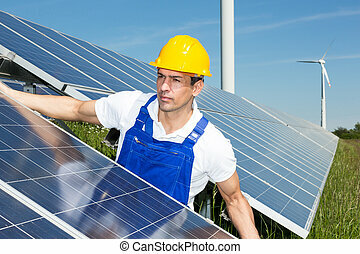 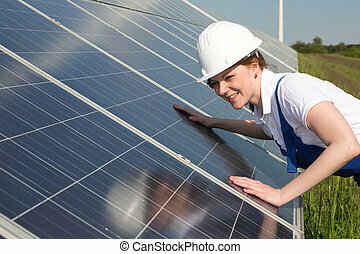 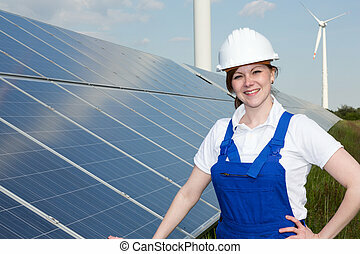 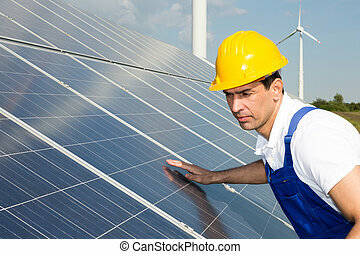 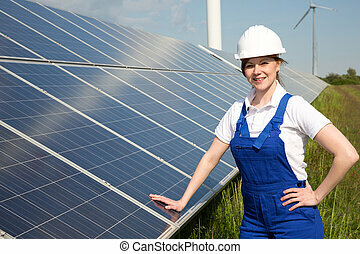 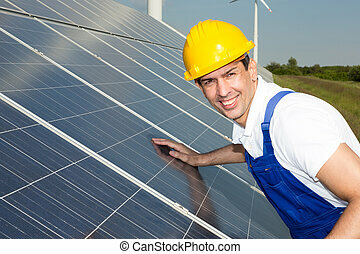 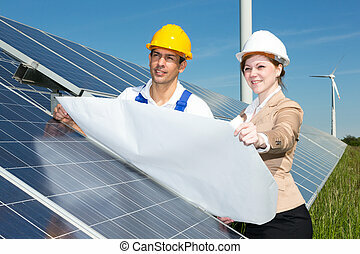 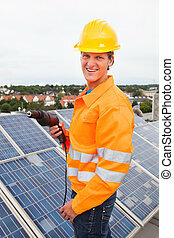 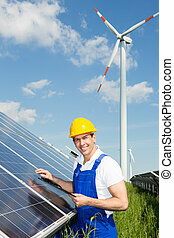 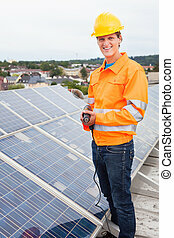 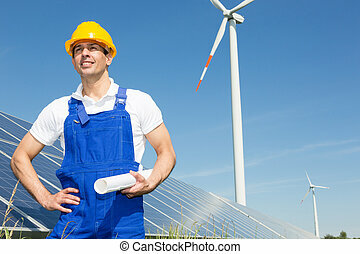 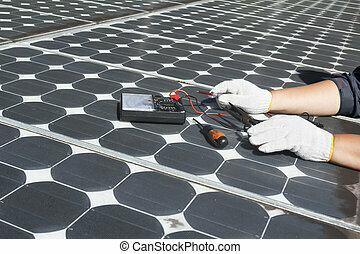 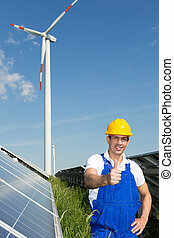 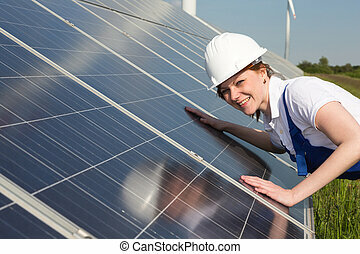 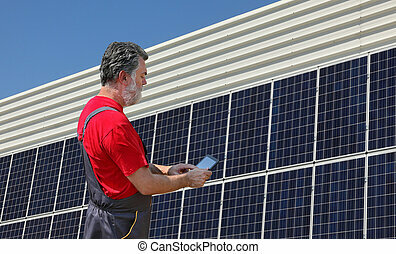 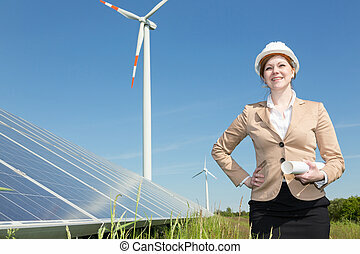 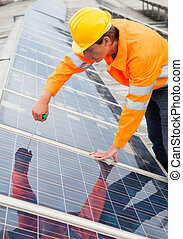 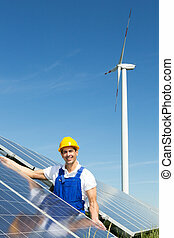 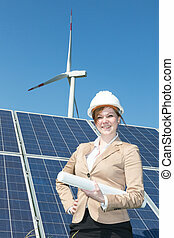 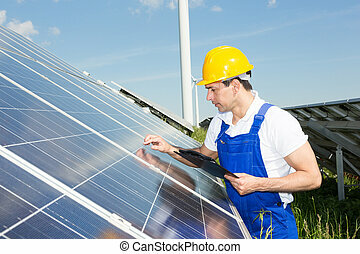 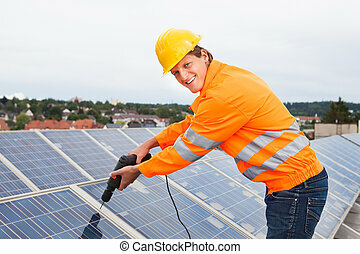 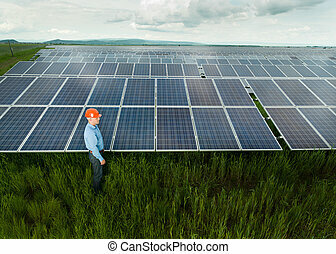 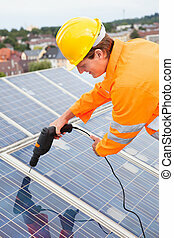 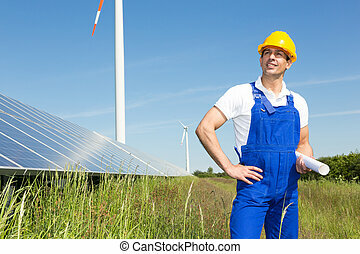 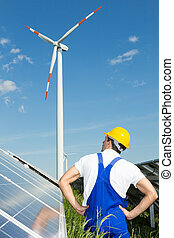 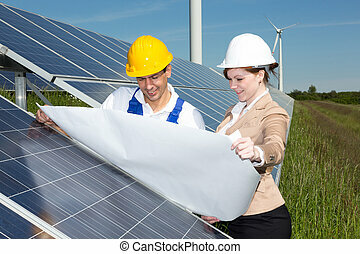 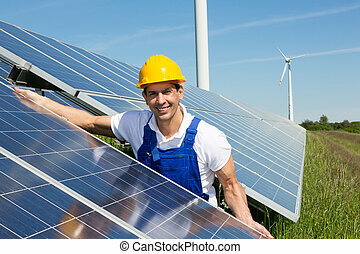 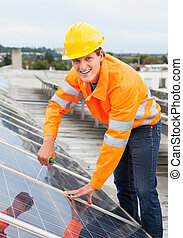 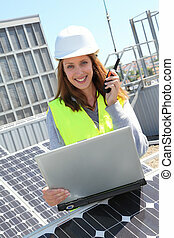 Engineer or installer inspecting solar energy panels. 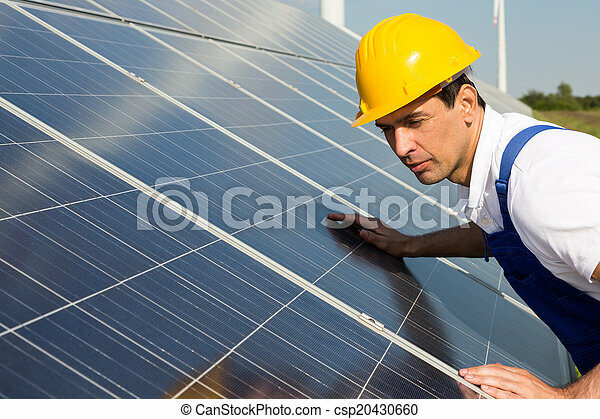 An engineer or installer inspecting solar energy panels. 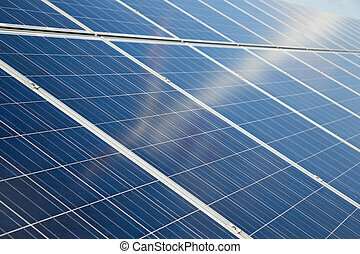 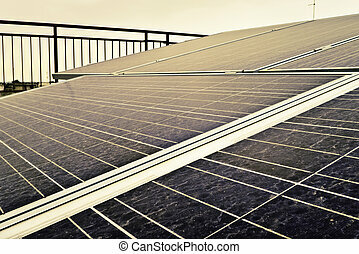 Panels of solar energy on a terrace of home.